India's most prominent social activists have written an open letter to the Chief Justice of India. 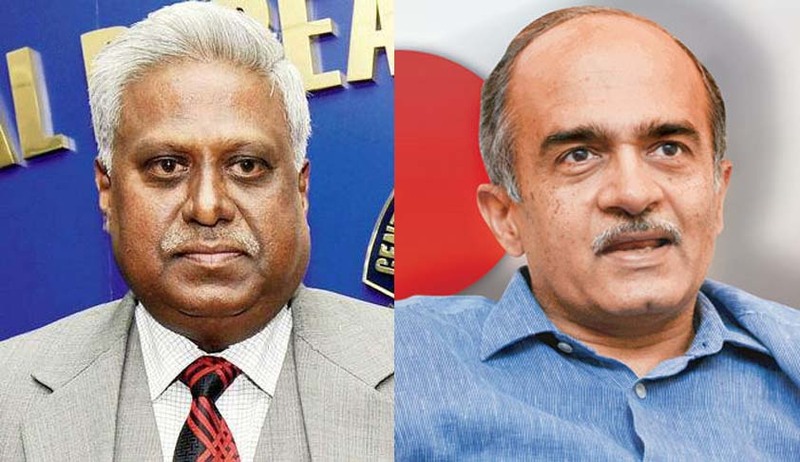 The activists claim that asking Mr. Prashant Bhushan to name the whistle-blower in the Ranjit Sinha visitor’s book issue, goes against the spirit of Whistleblower’s Act passed by Parliament. The activists include Aruna Roy, former information commissioner Shailesh Gandhi, Jagdeep Chhokar ,Nikhil Dey, Rajni Bakshi, Shailesh Gandhi and Trilochan Sastry. The activists in their letter have also written that, in view of the recent happenings, the CBI Director should atleast have been suspended. The letter also highlights the tactics of Mr. Ranjit Sinha, as he at first did not challenge the veracity of the record but asked how it could have come to Prashant Bhushan. He then claimed the violation of his privacy and then later, the asked Mr. Bhushan to name the person who got him the visitors’ diary. The letter also raises some points for the consideration of the Chief Justice. The activists want all ‘supposed visitors who were being investigated or are likely to have been representatives of such persons to state whether they had visited the CBI director’s residence.’ They are also seeking a statement from Mr. Ranjit Sinha ‘as to which persons named in the visitor’s diary never came to his house and whether any of his staff was present at these.’ Putting it in a time-frame, the letter states that it will be best if these two things happen within 2 weeks. The third point of consideration is the demand for SIT. The letter states ‘a Special Investigation team of persons with proven integrity to go through the records of the CBI to see if any link can be established between the supposed visits and the CBI’s investigations subsequently and to talk with some of the supposed visitors.’ The activists also say that it will be best, if the same is done within 4 weeks.